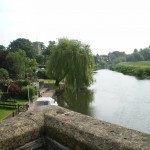 Today it has just three pubs two lovely riverside restaurants (The Bridge and The Frog) also an Indian Restaurant and takeaway, Fish & Chips, a supermarket, doctors surgery, dentist, florist, Bank, family butcher, bakers, various churches and lots of lovely walks leading from the Riverside recreation park. 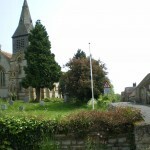 There is a circular walk accessible via the public footpath leading from our private walk, or by road to these villages and local Pub. The whole walk is approx. 3.6 miles. Delightful village with riverside restaurant on the entrance to the village and two other lovely restaurants/pubs within Welford. 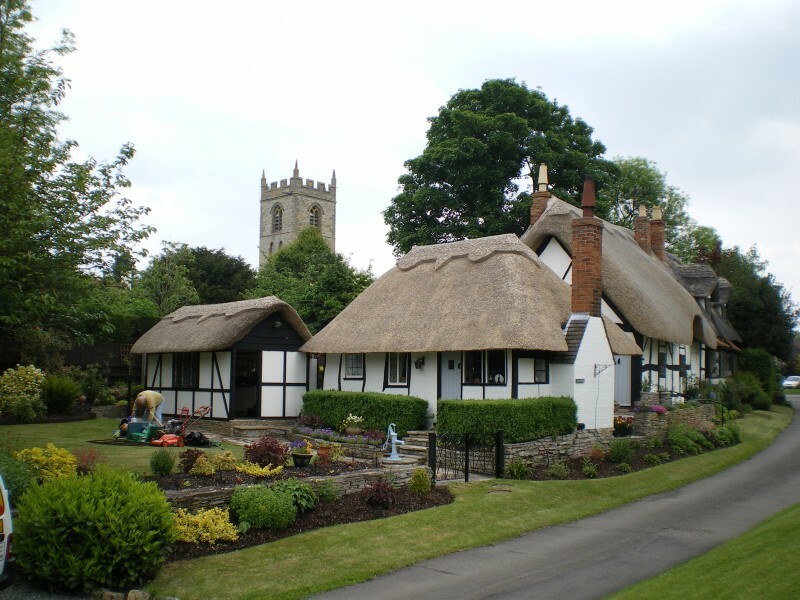 By the Church nestle Black & White thatched cottages so typical of old England. 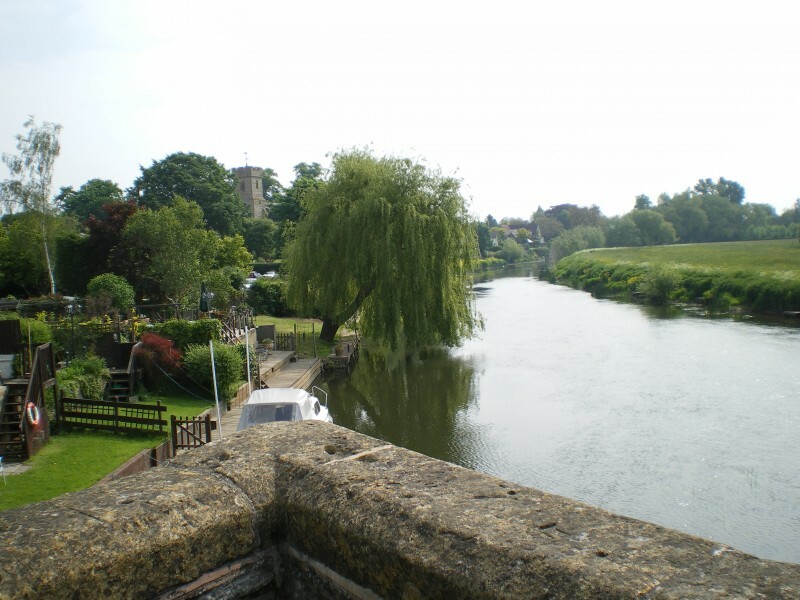 This lovely riverside market town, once the home of the bard, William Shakespeare is rich in history. Shakespeare’s` wonderful works are presented nightly at the Royal Shakespeare Theatre. The town offers many interesting historic buildings, including the five Shakespeare houses, Harvard House (home of John Harvard’s mother. He founded the original Harvard University of America.) Holy Trinity Church by the riverside, ancient Guild Chapel, many character beamed pubs and restaurants and lovely walks by the riverside and canal. 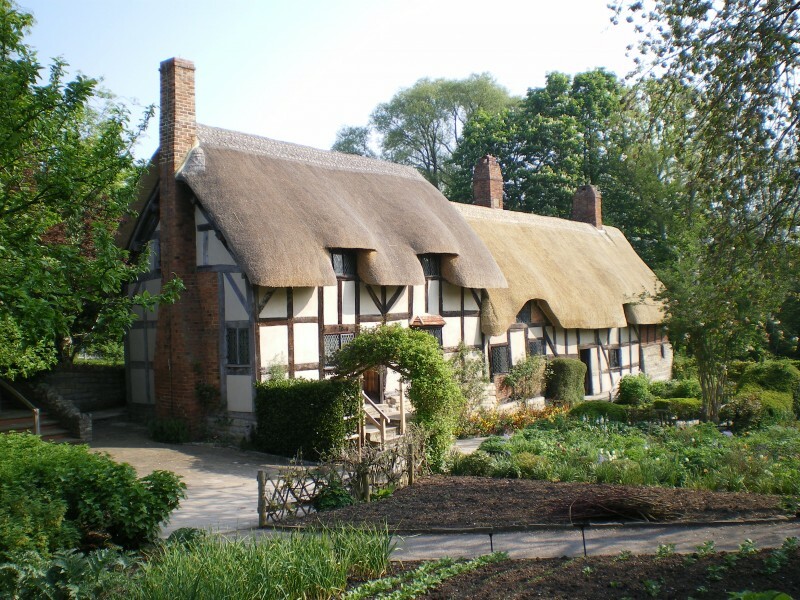 Anne Hathaway’s Cottage: This picturesque Thatched cottage was the home of the Hathaway family for almost 400 years! 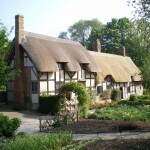 William Shakespeare courted Anne Hathaway here. Guides tell the story of Romance, Wealth, and Hardship in the rooms where you can see the furniture and memories of the Hathaway family. A woodland walk has just been opened and a lovely picnic meadow. 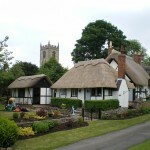 Also there is the tree garden Shottery Brook walk and of course the magnificent cottage garden. Christmas in Stratford-upon-Avon where the streets are so beautifully lit and regular coach trips visit. Coach lamps light the way in Sheep Street. Mulled wine is sipped in the halls of the Shakespeare Birthplace, and holly and mistletoe hang from the beams above the seat where it is reputed Anne and William sat in Anne Hathaway’s Cottage. Events continue throughout the season. 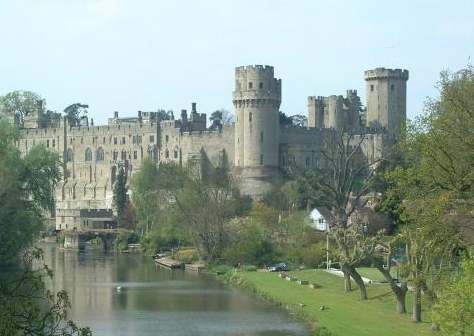 Home of the kingmaker and England’s finest medieval castle. 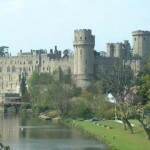 Experience first hand the atmosphere of the splendour that is Warwick Castle. Jousting knights, the haunted tower and the horror of the dungeons. Splendid gardens lead to the riverside where more adventures begin. The town is well worth a visit too. A fabulous day out for everyone. So much to describe here it is almost impossible, e.g. 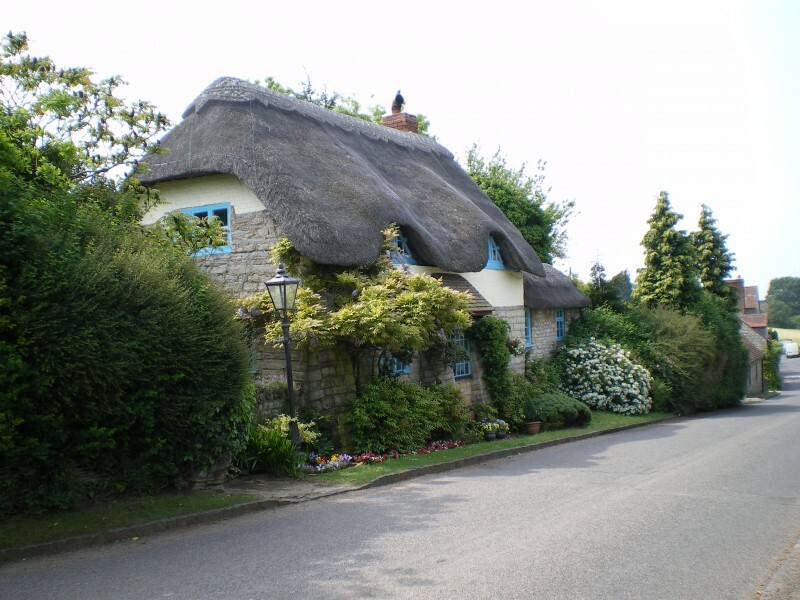 ; Bourton-on-the-Water where the river Windrush lazily drifts through under arched bridges. The mellow yellow stone of the Cotswolds is a sheer delight to behold. Tiny cottage gardens and weeping willow trees set the scene. 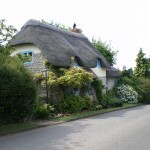 Villages such as Upper and Lower Slaughter, Broadway, Chipping Campden, Snowshill, Stanton and Stanway and so on just ooze this easy way of life. 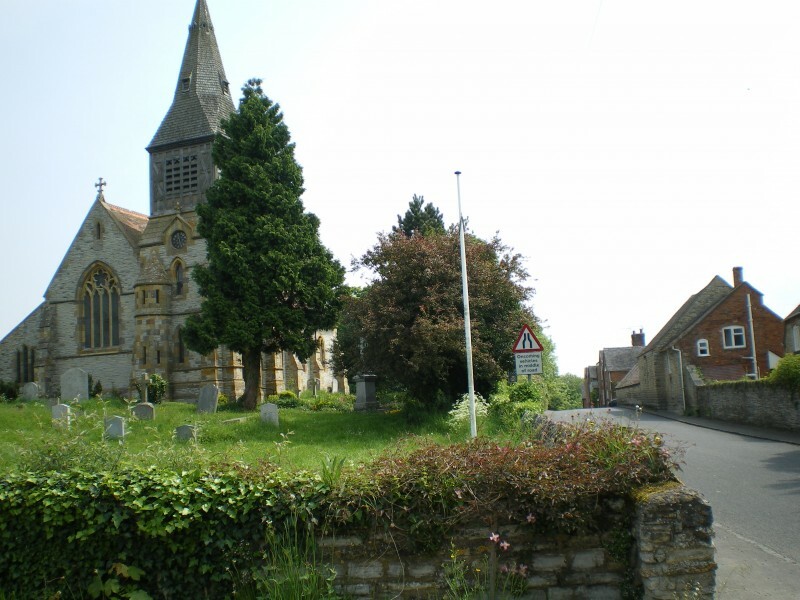 Stow-on-the-Wold is a small busy thriving town with an abundance of Antique shops etc., Cheltenham is a beautiful Spa town with lovely architecture and parks, shops, etc. For the steam enthusiasts there is The Gloucestershire and Warwickshire Railway Ltd., based at Toddington, a further 5 miles from Broadway where you can be hauled by steam to Cheltenham racecourse.